Pssst. I’ve got some inside scoop for ya. We all know Santa LOVES cookies, but do you know what kind? I do. It’s Gooey Butter Cookies. These are so easy to make and yet, so amazing. 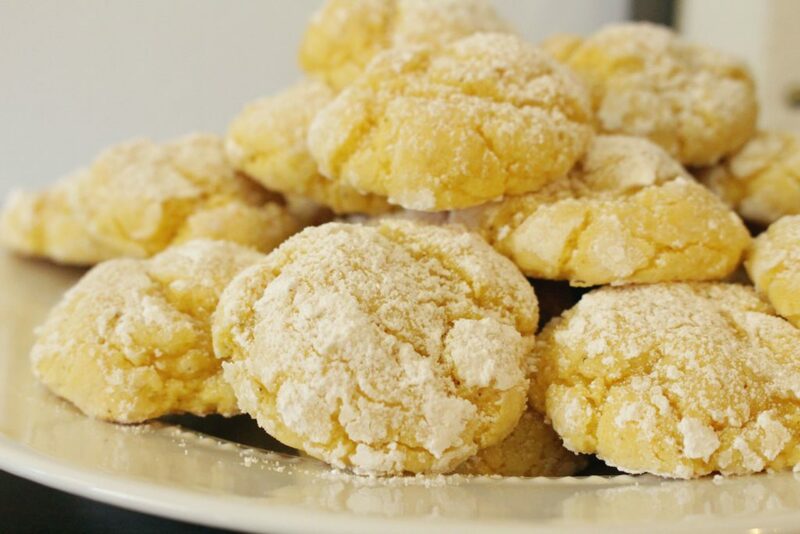 These cookies are lightly dusted with powdered sugar and melt in your mouth. 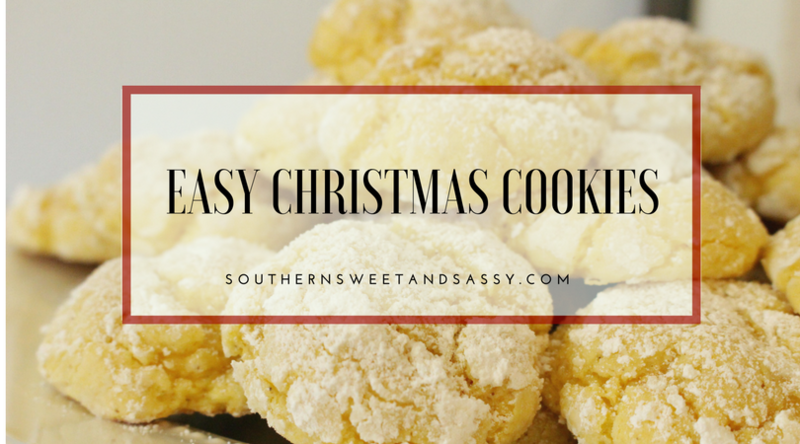 The best part about this cookie recipe is it is EASY and QUICK. With two toddlers terrorizing running around the house, it is hard to spend time baking one on one. Today, Ben fell asleep on the way home from running errands and I was able to smoothly transfer him to his crib without waking so I took advantage. I pulled out the step stool for Luke and we got to baking. 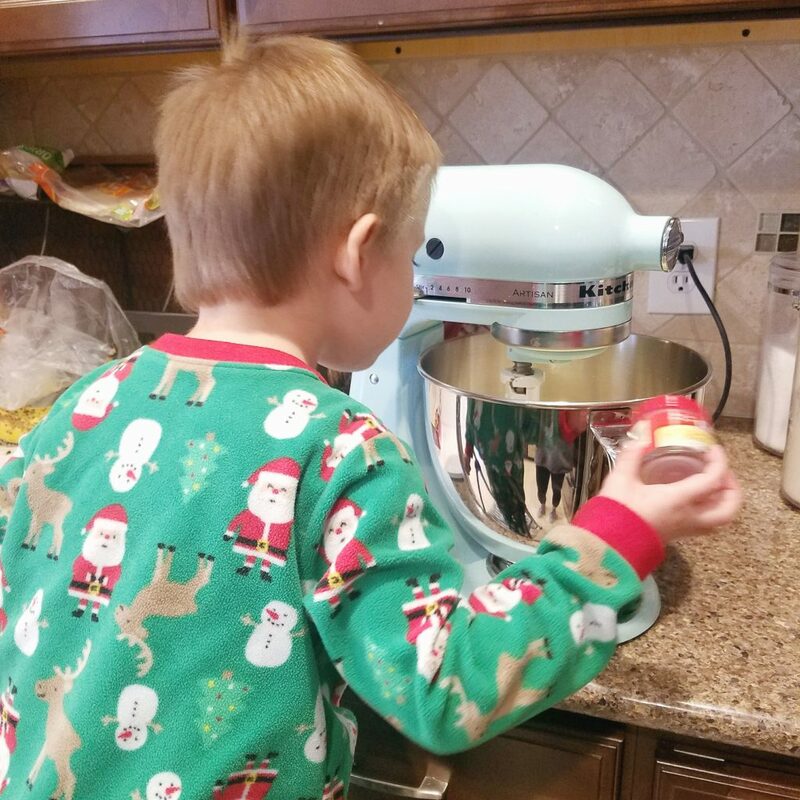 I think he was more excited about being allowed to climb up and down on the step stool until we turned on the electric mixer. Look at that sweet face! 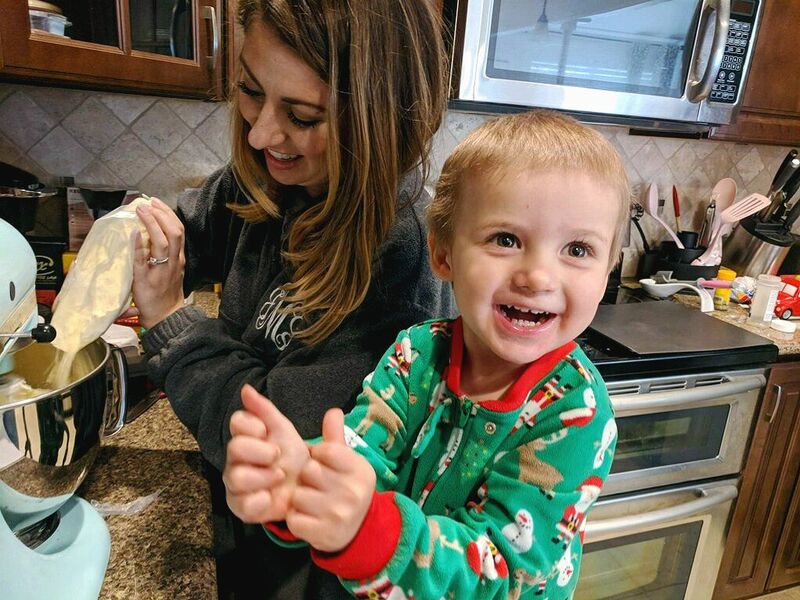 Luke actually inspired a little twist in our recipe. I had left the nutmeg out from earlier and he picked it up and tried to throw the container in the mixer. 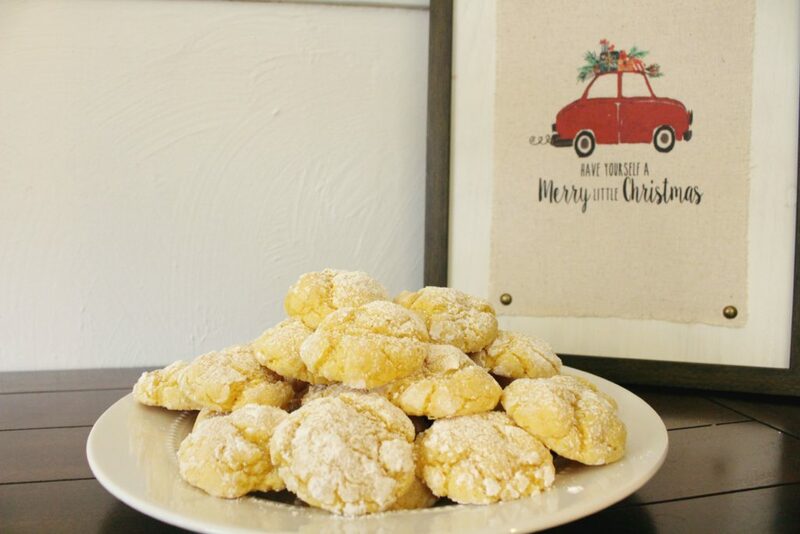 I sprinkled some in and I think it added a great, festive twist to normal Gooey Butter Cookies. Quick and easy cookies that everyone will love! In a medium bowl, cream together the cream cheese and butter. Stir in the egg and vanilla. Add cake mix and nutmeg (optional) and stir until well blended. Roll in 1" balls and then roll the balls in powdered sugar. Place 1 inch apart onto an ungreased cookie sheet. Bake for 10 to 13 minutes. Remove from baking sheets to cool on wire racks. Sift extra powdered sugar over cookies if desired. Don’t forget to pin the image below so you can easily find it when you’re ready to bake!